The Jack Abell Betta store in Mildura was originally established by Jack Abell in 1946 and later purchased by the Wilkinson family in 1964. 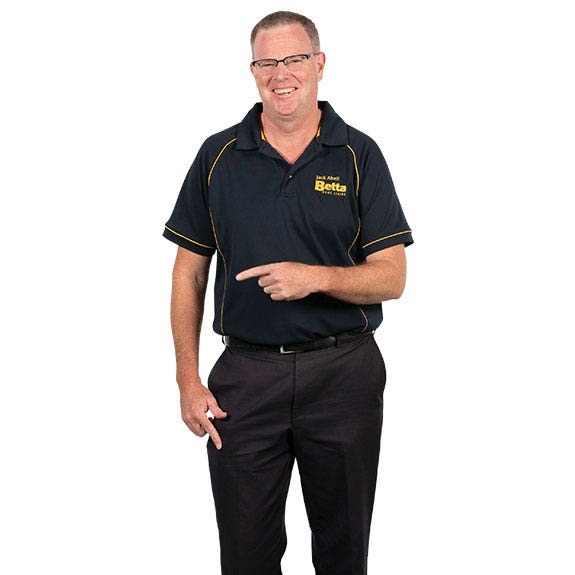 When you want expert advice on whitegoods or home appliances, look no further than Betta Mildura. Our Jack Abell Betta store stocks your favourite brands in in fridges and freezers, kitchen, cooking and laundry. For better deals every day, That’s Betta! The store currently supports the Sunraysia Scouts and Guides, the Riverside Golf Club, the Mildura Golf Club, the Cullulleraine Exposed Music Festival, as well as various local sporting bodies and charities via raffle prizes and donations. Store Managers, Darren Nicols and Sharyn Campbell enjoy dining at the Pizza Cafe and supporting the Richmond and Robinvale football teams.